Amma Sa! I am Tsimshian of Gitxsan and Nisga’a ancestry. My name is Wihl Buun and my given name is Shar Wilson. I create with form line that was vetted 1000’s of years ago. When I create I think about the master carvers and artists who drew with the exact same form that I am drawing with today. When I am drawing, I am quite within myself and because of my drawing, I know that I have a place of Peace and Purity within me. My name is Wihl Buun, which translates to the 'big splash made by the Whales' tail as it hits the surface of the ocean'. I am honoured and proud to have such a beautiful image as my name. The name was passed to me from my Mother when my Gran passed, who got it from her Mother and so on. When I draw, I remember my name, my mothers and grandmothers. As I walk Mother Earth, I am in awe of all her creatures and see form in all them. The Spirit line of the creature is such a beautiful thing to see – it creates oneness, it elevates our sameness. Finally, I always consider the love I have for my husband of 34 years, our children, their spouses and our grandchildren. I especially lean into the love and grief I have for my son, Jordan, who I lost in 2009. I have been a graphic artist since 2012. So, you can see by the timeline, this art came by way of a life changing event. Being so very vulnerable has opened my Spirit and I am not the same person I was before 2009. I wish to create pieces that provoke change one thought at a time, that aspire to convey this love, this compassion, this reverence, this beauty as taught to me. I am a woman who has been through too many hard times. I have been very lost; I have been hurt; I have hurt: I am loved; I have loved and lost; I have forgiven and I work to forgive; and pray I have been forgiven. Being ashamed, in shame, in humility, and vulnerability has torn down walls that I built up to keep everyone out. Now, I create from this place of vulnerability, shame, forgiveness, love and peace. 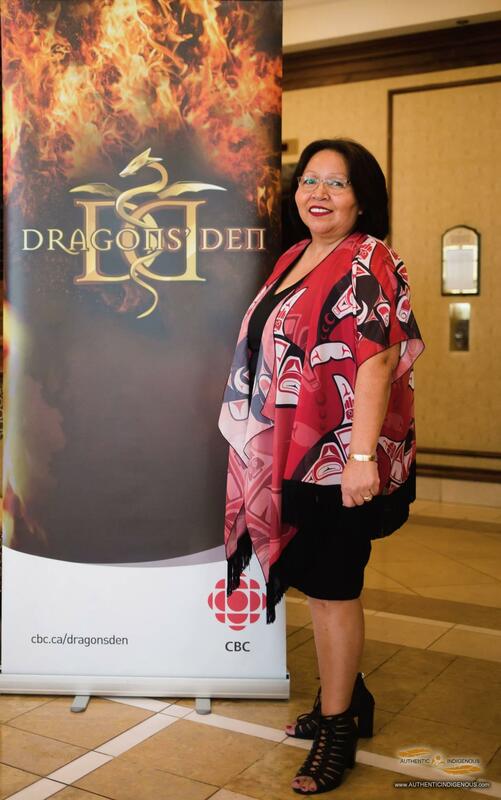 Shar Wilson is Tsimshian of Gitxsan and Nisga’a ancestry. Her traditional name is Wihl Buun and she descends from the House of Ladaax from the Frog Clan. Her traditional name, Wihl Buun (wee-th-hl buun), translates to the 'big splash made by the Whales' tail as it hits the surface of the ocean'. The name was passed to her from her Mother when her Gran passed, who got it from her Mother and so on. The Gitxsan are matrilineal people, which means Shar inherits her lineage from her Mother’s side. Shar grew up on a small reserve in northern British Columbia called Gitsegukla, which means People of Segukla Mountain. Gitsegukla is nestled along the Skeena River, beside the Gitsegukla River. The people live a very traditional way of life dependent on the land and the river. Their governance system is still in place and is conducted in the feast hall. Shar was brought up by very strong women who lived their culture. Her mother was a cultural teacher who taught the Gitxsan dialect and art in the local elementary school. Her grandmother taught her how to prepare and preserve food from the land and the river. Both women taught Shar the Ayooxw – the law of the Gitxsan – in and out of the feast hall. Shar continues to love and live her culture as her Mothers have and she continues to transfer this knowledge to her family. Shar is married to Bob Wilson, her loving husband of 34 years. Bob stands by Shar and supports her through all her life journeys. Together they have raised 4 beautiful children and have 5 beautiful grandchildren. They currently live in Victoria BC. Bob is Coast Salish from the Hwlitsum First Nation and grew up on Galiano Island. Shar became a graphic artist not by choice but by a tragic life event. Shar, and her husband, Bob, lost their youngest son of 4 children in October 2009. Jordan’s accident devastated the family and broke Shar’s Spirit. From this brokenness, Shar had to find her way out of the dark. Prior to the accident, Shar had a career in finance and management and worked in and around BC with various First Nations. During this time, Shar learned about the vast and diverse Indigenous cultures within Canada. After October 2009, Shar realized that she could not do this work any longer. She had to re-establish herself and her career. 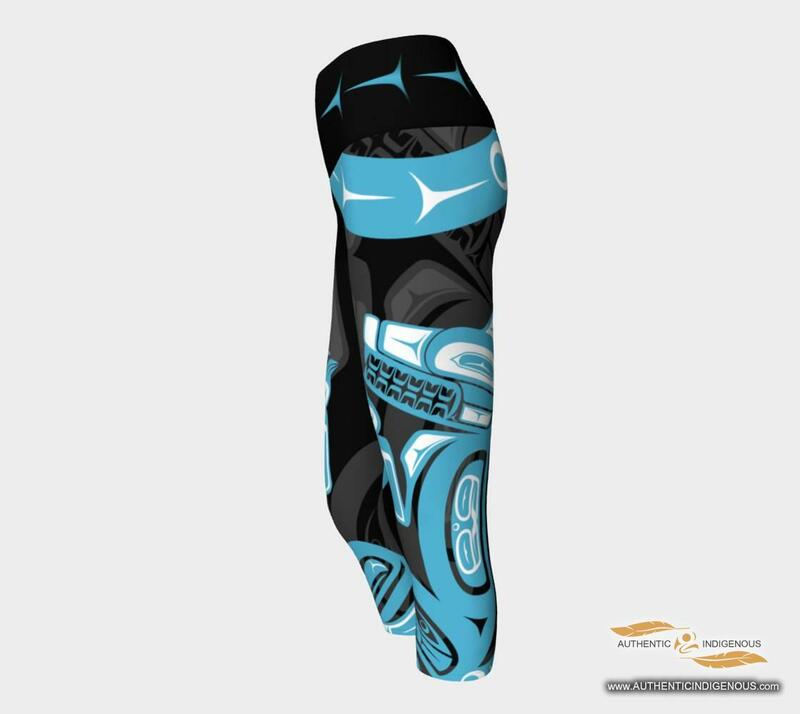 By chance, she discovered First Nation inspired designs on a pair of flip flops. She loved the concept immediately and thought the product was beautiful as she had never seen flip flops with Indigenous designs on them before. She started to sell them through social media in 2011 and quickly realized that there was a demand for these items. She sourced more wholesale companies and began to sell more items. Having an entrepreneurial spirit and a business background, Shar, realized the potential of creating designs and putting them on every day products herself. She set about learning about the process without even knowing how to draw or illustrate. She purchased a graphics program and took classes to learn how to use the program. After months of classes, practice, research of graphic design, research on her traditional art form, textile design, and sublimation, Shop With Shar was born. Shop With Shar featured retail items and items created by Shar. Shar also began designing and decorating t-shirts, and other clothing. The evolution of the art has been remarkable as Shar developed her own style, incorporating Gitxsan, Nisga’a, and Coast Salish elements in her art. Shar decided to rebrand and founded FINAWEAR in 2018. 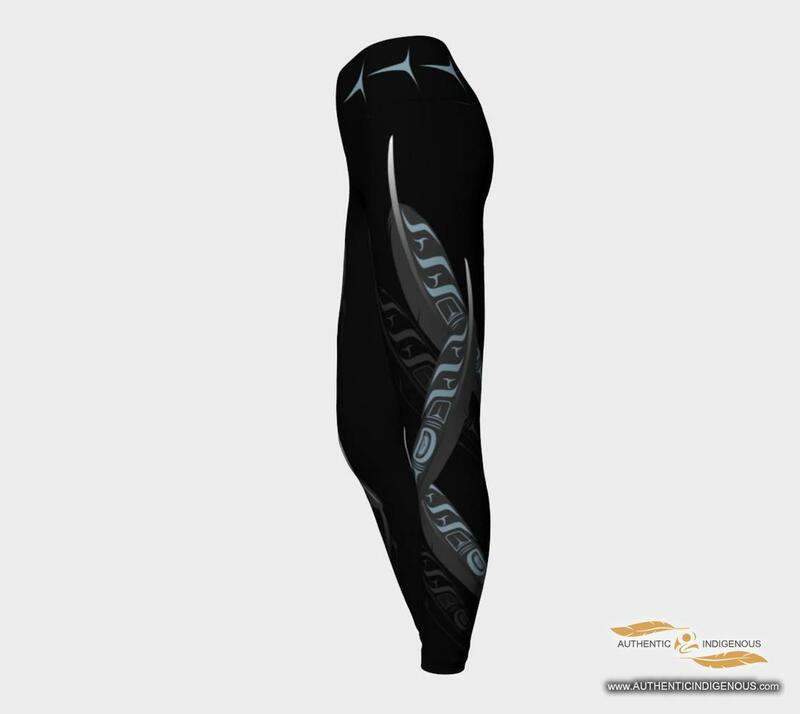 FINAWEAR is a clothing line that Shar proudly introduces as Authentic Wearable Indigenous Art. With this brand, Shar is working to elevate our sameness and create awareness of misappropriation and cultural appropriation of Indigenous art. FINAWEAR is cultural appreciation. Since launching FINAWEAR in early 2018, Shar has had much success with the business. She has been featured in many magazines, newspaper interviews and pitched her business to the dragons on the show Dragon’s Den in April 2018. Today, Shar continues to grow her business and her products are now in a few retail stores across Canada! Shar uses her art and creation as a means to help with the healing from the heartbreak she has endured as a child, a young Indigenous adult, a Mother and as an Indigenous woman. She also uses her art to celebrate the happiness and love in her life. Through this journey, Shar found art. Shar has found peace in the creation of art and has found that there is a way back to peace from darkness and brokenness.